Why I Loved It: I feel like Run DMC is perhaps rap music’s biggest crowning achievement of all-time. From their start with this debut studio album lasting until this very day they’re still unmistakably an influence for rap artists everywhere, as they should be. In music the term “aged well” is thrown a lot a bit too loosely for my liking, but Run DMC has truly been timeless. I have a 14-year old son who’s a fan of hip hop but didn’t know RUN DMC. I told him in no uncertain form that no one can seriously call themselves an authentic fan of Hip-Hop until you know this album inside out. “It’s Like That”, “Jam Master Jay”, “Sucker MC’s” and “Rock Box” are staples of rap music. I don’t know what more I can tell you about this group and their debut album in particular – it’s simply that good. 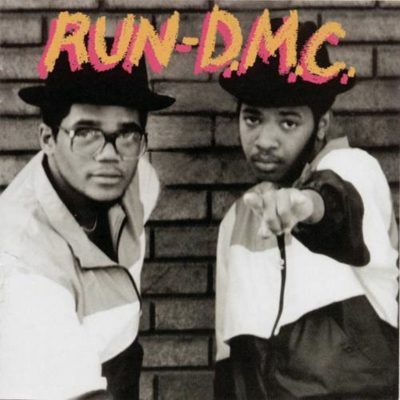 Commercial Success: The debut album for Run DMC had moderate commercial success at a time where rap music hadn’t really embedded popular music mainstream. It peaked at No. 53 on the Billboard Top 200 and No. 14 on the U.S. Billboard Top R&B/Hip Hop Albums. “Hard Times” was the most successful single commercially, hitting No. 11 on the U.S. R&B charts. “It’s Like That” made it to No.15 on the same chart while “30 Days” hit 16 and “Hollis Crew” maxed out at No. 65. “Rock Box” made an appearance on the U.S. Dance Charts at No. 26. Rolling Stone ranked this No. 51 on their list of the 100 Greatest Albums of the 80s and ultimately 242 on their list of the 500 Greatest Albums of All-Time.